"I Wandered Lonely as a Cloud" (also commonly known as "Daffodils" or "The Daffodils") is a lyric poem by William Wordsworth. It was inspired by an event on April 15, 1802, in which Wordsworth and his sister, Dorothy, came across a "long belt" of daffodils. Written at some time between 1804 and 1807 (in 1804 on Wordsworth's own account), it was first published in 1807 in Poems in Two Volumes, and a revised version was published in 1815. It is written in six-line stanzas with an ababcc rhyme scheme, as in the Venus and Adonis stanza of Shakespeare but in tetrameters rather than pentameters. It is generally considered Wordsworth's most famous work. In the "Nation's Favourite Poems", a poll carried out by the BBC's Bookworm, "I Wandered Lonely as a Cloud" came fifth. Often anthologised, "I Wandered Lonely as a Cloud" is commonly seen as a classic of English romanticism within poetry, although Poems in Two Volumes was poorly reviewed by Wordsworth's contemporaries. the entire household thus contributing to the poem. Nevertheless Mary Moorman notes that Dorothy was excluded from the poem, even although she had seen the daffodils together with Wordsworth. The poem itself was placed in a section of Poems in Two Volumes entitled Moods of my Mind in which he grouped together his most deeply felt lyrics. Others included To a Butterfly, a childhood recollection of chasing butterflies with Dorothy, and The Sparrow's Nest, in which he says of Dorothy "She gave me eyes, she gave me ears". The earlier Lyrical Ballads, a collection of poems by both himself and Samuel Taylor Coleridge, had been first published in 1798 and had started the romantic movement in England. It had brought Wordsworth and the other Lake poets into the poetic limelight. Wordsworth had published nothing new since the 1800 edition of Lyrical Ballads, and a new publication was eagerly awaited. Wordsworth had, however, gained some financial security by the 1805 publication of the fourth edition of Lyrical Ballads; it was the first from which he enjoyed the profits of copyright ownership. He decided to turn away from "The Recluse" and devote more attention to publishing Poems in Two Volumes, in which "I Wandered Lonely as a Cloud" first appeared. Wordsworth revised the poem in 1815. He replaced "dancing" with "golden"; "along" with "beside"; and "ten thousand" with "fluttering and". He then added a stanza between the first and second, and changed "laughing" to "jocund". The last stanza was left untouched. The plot of the poem is simple. In the 1815 revision, Wordsworth described it as "rather an elementary feeling and simple impression (approaching to the nature of an ocular spectrum) upon the imaginative faculty, rather than an exertion of it..."
Pamela Wolfe notes "The permanence of stars as compared with flowers emphasises the permanence of memory for the poet." Andrew Motion notes that the final verse replicates in the minds of its readers the very experience it describes. 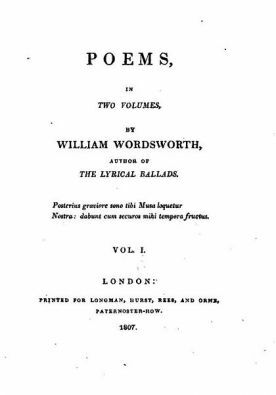 Poems in Two Volumes was poorly reviewed by Wordsworth's contemporaries, including Lord Byron whom Wordsworth came to despise. Byron said of the volume, in one of its first reviews, "Mr. W[ordsworth] ceases to please, ... clothing [his ideas] in language not simple, but puerile". Wordsworth himself wrote ahead to soften the thoughts of The Critical Review, hoping his friend Francis Wrangham would push for a softer approach. He succeeded in preventing a known enemy from writing the review, but it didn't help; as Wordsworth himself said, it was a case of "Out of the frying pan, into the fire". Of any positives within Poems in Two Volumes, the perceived masculinity in The Happy Warrior, written on the death of Nelson and unlikely to be the subject of attack, was one such. Poems like I Wandered Lonely as a Cloud could not have been further from it. Wordsworth took the reviews stoically. Even Wordsworth's close friend Samuel Taylor Coleridge said (referring especially to the "child-philosopher" stanzas VII and VIII of Intimations of Immortality) that the poems contained "mental bombast". Two years later, however, many were more positive about the collection. Samuel Rogers said that he had "dwelt particularly on the beautiful idea of the 'Dancing Daffodils'", and this was echoed by Henry Crabb Robinson. Critics were rebutted by public opinion, and the work gained in popularity and recognition, as did Wordsworth. Poems in Two Volumes was savagely reviewed by Francis Jeffrey in the Edinburgh Review (without, however, singling out I wandered lonely as a Cloud), but the Review was well known for its dislike of the Lake poets. As Sir Walter Scott put it at the time of the poem's publication, "Wordsworth is harshly treated in the Edinburgh Review, but Jeffrey gives ... as much praise as he usually does", and indeed Jeffrey praised the sonnets. Upon the author's death in 1850, the Westminster Review called I wandered lonely as a Cloud "very exquisite". The poem is presented and taught in many schools in the English-speaking world: these include the 7th grade of most schools of the Indian Certificate of Secondary Education (ICSE), India; the English Literature GCSE course in some examination boards in England, Wales, and Northern Ireland; and in the current Higher School Certificate syllabus topic, Inner Journeys, New South Wales, Australia. It is also frequently used as a part of the Junior Certificate English Course in Ireland as part of the Poetry Section. Because it is one of the best known poems in the English language, it has frequently been the subject of parody and satire. It was the subject of a 1985 Heineken beer TV advertisement, which depicts a poet having difficulties with his opening lines, only able to come up with I walked about a bit on my own or I strolled around without anyone else until downing a Heineken and reaching the immortal I wandered lonely as a Cloud (because "Heineken refreshes the poets other beers can't reach"). That Wordsworth originally hit on I wandered lonely as a cow until Dorothy told him "William, you can't put that" still finds its way into print, often with strict instructions not to contact the writer if it's not true. In 2004, in celebration of the 200th anniversary of the writing of the poem, it was also read aloud by 150,000 British schoolchildren, aimed both at improving recognition of poetry, and in support of Marie Curie Cancer Care. In 2007, Cumbria Tourism released a rap version of the poem, featuring MC Nuts, a Lake District Red squirrel, in an attempt to capture the "YouTube generation" and attract tourists to the Lake District. 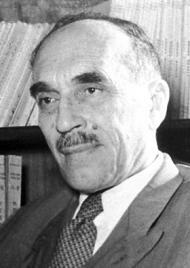 Published on the two-hundredth anniversary of the original, it attracted wide media attention. It was welcomed by the Wordsworth Trust, but attracted the disapproval of some commentators. The National Gardens Scheme runs a Daffodil Day allowing visitors to view daffodils in Cumbrian gardens including Dora's Field.